We are pleased to announce that as of each shard’s normal maintenance beginning December 4, 2018 Publish 103 will be deployed world wide. Holiday Gifts – choice from new collectibles, a recipe book, and more! The Artisan Festival returns – new Vice & Virtue themed rewards! Krampus! Will you brave the trade routes with Krampus running about! New weapons, equipment, pets, and more await those who do! Classic Client updates – new macro functionality! New Keeps from the Keep Design Contest! You can read all about the latest changes in the Publish 103 patch notes. We are also pleased to release the first installment of one of the many stories surrounding the origin of Krampus –The Winter Satyr. With each shard’s normal maintenance cycle beginning November 29, 2018, Publish 103 has been deployed to Origin, Izumo, and Baja. Check out the latest patch notes for the full list of updates. Please note there will be a mandatory patch, so please make sure you patch up your client before logging in to any shard. We are currently planning to deploy Publish 103 world wide on December 4, 2018. We want to make a very special thank you to everyone who visited TC1 and provided feedback. Looking for that perfect new look? The new Hairstyle Token offers the ability to change the hair, horns, beard, and beard horns of your character! Visit the Ultima Store today to get your new look! 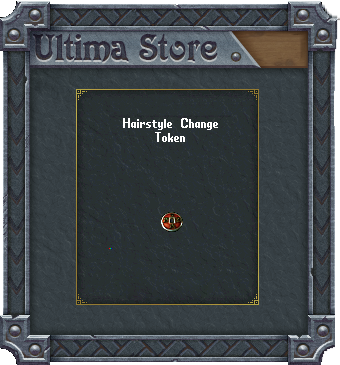 You can also visit TC1 to use a token to check out the various hairstyles. We are pleased to announce that Publish 103 TC Release 1 will be available for testing on Test Center as of 10/31/2018. This is the first TC1 release of Publish 103 that brings the new Krampus Encounter, new weapons & clothes, new Ultima Store items, PvP Combat changes, Classic Client macro updates & more! Head on over to the Publish 103 wiki page to check out the notes! We will be hosting a public testing event all day so stop on TC1 and say hello! The action timer after the use of the Dress macro has been increase from 1 second to 1 second per item equipped. We are also pleased to announce the launch of the Ultima Swag store where you can purchase a variety of merchandise to show off your love of Ultima Online, complete with international shipping! You can visit the swag store by visiting the link on the UO.com homepage! There is a mandatory client patch associated with this release so please patch up your client before accessing any shard. Please take note of the following important dates as they relate to the Publish 103 Keep contest. As of today, TC1 has been wiped. We are pleased to announce that as of each shard’s normal maintenance beginning October 23, 2018 Publish 102 will be deployed world wide. You can read all about the latest changes in the Publish 102 patch notes.